Maintaining your car properly from the day one is the best way to get the top resale value. 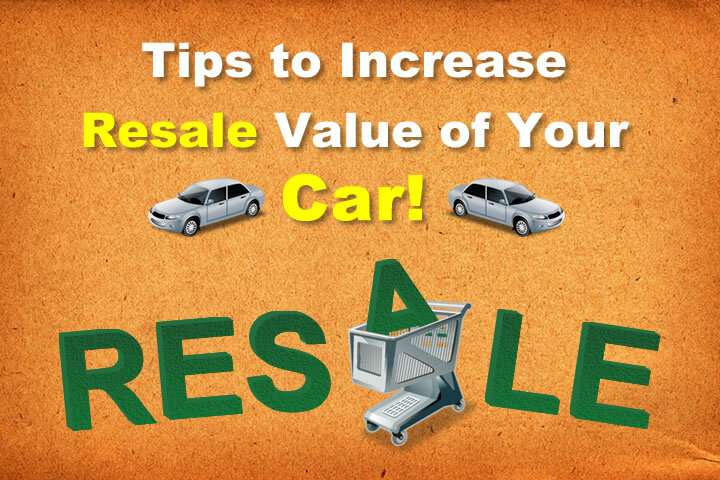 There are many ways that would help you in improving your car resale value. Read on the five ways to keep your car in the best condition and get the maximum resale value. The resale value of a car is based on many factors like reliability. Few makes like the Toyota, Mercedes, Honda and Lexus always hold their value. Thus you should prefer buying such cars that has high re-sale value or holds their value. You can also check the good used car pricing sites like NADA or Kelley Blue Book to search the resale history of various models. Few options like a sunroof or air conditioning can increase the resale value of your car. You can consider buying such cars. Every car manufacturer suggests regular maintenance and the schedule normally depends upon the driving condition and other things. Changing the oil is usually suggested every 3,000 miles but few car manufacturers have increased their intervals to 5,000 or 10,000 miles. Maintaining the car according the manufacturer guidelines and timing is very important. Regular check-ups will surely hold a good re-sale value. The car owner should thus consider all the aspects of maintenance like tire pressure, changing air filters etc. We all know the fact that accidents are inevitable but you should try to avoid it to maximum. Treat your car as your small baby and drive carefully. Any history of collision damage can surely lower down your car resale value. Any trained appraiser can easily spot the damage from a mile away. So if your car has collided, take help of trained professionals and repair them. Use factory parts and keep all the receipts with you. Try to be honest about any collision when it comes to selling your car. Put as much effort as it needs but keep your car clean and neat. Vacuum your car regularly and protect the carpets with plastic floor mats. Keeping your car washed and waxed is very much essential. Waxing your car will protect it from rainwater and it would also be easy to clean, it also gives great shine to your car. Any prospective buyer can get attracted to your car if it’s clean and neat and he might even get ready to pay any price. Thus it’s important to keep your car tidy before selling it. VIN-Vehicle Identification number report is very important. It’s the very first document that any prospective buyer pulls. The report normally disclose the full history of the car from the day you purchased till now, it includes data like accidents, ownership, servicing etc. Many dealers also update all these reports while servicing. Thus one should always use the dealership for servicing their car even though they are costlier.